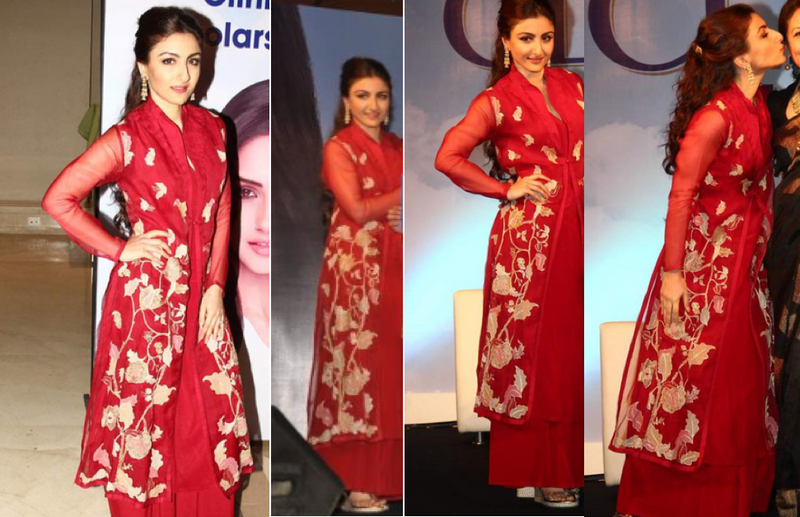 Soha Ali and Tisca Chopra were present at Clinic Plus Scholarship programme. Soha wore a beautiful fuchsia suit, which had a shirt and pallazos. We love the suit but do not like her choice of wedge chappals. Tisca wore white and gold chanderi sari which had a small blue border. She wore it with blue blouse. We love her styling.